Got a question? / Need a quote? What could happen if I don't use a firm in a trade association? Choosing a removal firm that has committed to a trade association is a good starting point because it shows they're willing to be held up to a minimum standard. Trade associations will have minimum standards of conduct for membership which will be in your interests such as legal, licensed vehicles, arbitration or conciliation and in some cases protection for your deposit. Poorly maintained, unlicensed or unsuitable vans are not only a hazard on the road but may very well be in breach of their insurance conditions (assuming they actually are insured) - meaning if there's an accident or your goods are damaged in loading or transit, you may not be covered. Small firms very often don't directly employ their staff and simply hire in casual labour when they need. If the crew aren't professionals then your possessions may not be treated with respect and packed well for the journey. If the crew aren't full time, once they've done the job and they move on, there's no comeback. In a perfect world, a verbal agreement and shake of hands would be nice, but when it comes to your worldly possessions and valuable items, not having a contract leaves you open and unprotected. Too often we've heard of people arranging a cheap deal with a "bloke who seemed friendly" who "has a mate with a van" who then doesn't turn up on the day or turns up with a transit van and his mate and wants an extra £400 cash to do the job or he'll drive off - jeopardising an entire chain of homemovers. At a minimum, you should get signed agreement which sets out the service that will be provided in clear English with clear contact details of who you're dealing with. 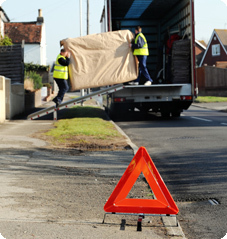 Using a removal firm that is not a member of trade association means you have no route of redress or complaint other than the civil courts or local trading standards offices. What questions should I ask a potential removal company? • What level and type of insurance cover is offered? • Are they members of a trade association? If not why not? • How long has the company been trading and can they supply references? • How will the move be carried out? E.g. number of days, time of arrival, crew size etc. • What will security be like if your goods are on a vehicle overnight? • Do you have an office or depot I can visit? • Use your common sense as well: Liveried vehicles, smartly dressed, competent estimators who feel reassuring and expert to talk to, open about their reputation and references are all good signs. Just as you wouldn't hire a shifty looking person with a banger of a van to work on your gas boiler, don't skimp on the removal company you're going to ask to drive off with your house hold possessions and valuables. If you only have a few rooms of effects to move you can probably get away with doing it yourself by hiring a van for a few £100 or using a small 'man and van' type firm and applying some elbow grease. Small removals firms might move you for cash no questions asked but it's worth thinking about what your possessions are worth and what you could be risking to replace everything if the worst happened. Once you start adding up the value of everything in your home, it's surprising how much your effects could be worth - indeed most contents insurance policies use figures around £30,000 - £50,000. A good rule of thumb then is to think in terms of paying a few percent of the value of your contents to have everything protected, insured and professionally transported is pretty good value for peace of mind. The alternative could be having them piled in the back of a van which may not be road-legal or whose operator isn't licensed to freight goods above a certain weight - in which case you may not have much of a leg to stand on if things go wrong. How much do removal companies charge? • how much stuff you have: more stuff = higher volume/more weight = bigger or multiple vehicles. • More stuff also means bigger removal crews to get it all packed and loaded. • If you want the convenience and protection of the crew packing for you. • If you need strong packing materials provided. • How far the van(s) have to travel: further = more fuel costs. • The possibility of overnight stays to comply with long distance driving regulations - in the UK drivers have to have a 45 minute break every 4.5 hours. • If you have high value special items e.g. pianos or artworks that need extra care and specialist attention. • How fast you want the move to happen. If you want to be done and dusted inside a day, the only way to do it is have more crew members to help out. 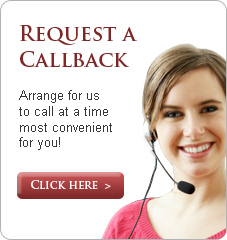 • If you are moving during peak seasons (school holidays) or weekends at times of high demand. • There's a lot to consider which is why a good removal company will ask to visit your property to ensure their price is accurate and all the factors have been considered. Prices can range roughly from around £500 for a small 2 bed house up to several thousand for really large houses and complicated long distance moves. Be wary of anyone giving rough estimates of the phone - until an expert estimator sees your property there's just no way of factoring everything in. What days of the week should I avoid moving home? Understandably many movers try and move over the weekend to minimise time off work. This also means it's a premium time to move and prices will shift accordingly. If you can move mid-week do so as you'll get more time and keener prices. If you have a floorplan available (the estate agent may have made one up in the marketing of the property) make a key for the rooms indicating what goes where. Removers often provide stickers or colour coding to help with this. Use the move as an opportunity to tidy up and throw stuff away that you really don't need - no sense paying to transport stuff you'll never use! If you've opted for the protection and convenience of having the team pack for you, help them out by getting organised - the faster your team can pack up, the quicker you can be on the way and the faster you can be ready to unpack at the other end. Don't put all your stuff in a big heap - leave things in rooms so the crew have room to work and plan the loading efficiently. Eat the contents of your freezer in the weeks before the move! Don't forget the loft and the shed - all sorts of horrors might be lurking for the unwary there. Should I tip the removal crew? That's down to you - most crews appreciate a cup of tea and a biscuit at the least. Whilst professional removal companies will always provide a good minimum standard of service, getting on well with your crew will go a long way towards a smooth relationship and making it easy for them to deliver great service. If they're doing a great job, don't hold back in showing your appreciation whether that's bacon sandwiches at the beginning of the day or a crate of beer at the end. Tonbridge, Tunbridge Wells, Sevenoaks and all of the South East, we also offer Worldwide Removals.